The Advanced VX 9.25 SCT is an excellent choice for astroimagers and visual observers looking to gather 33% more light than our 8" telescope, but without the added weight of our 11" optical tube. No single piece of this kit weighs more than 20 lbs, making it easy for one person to transport and assemble. 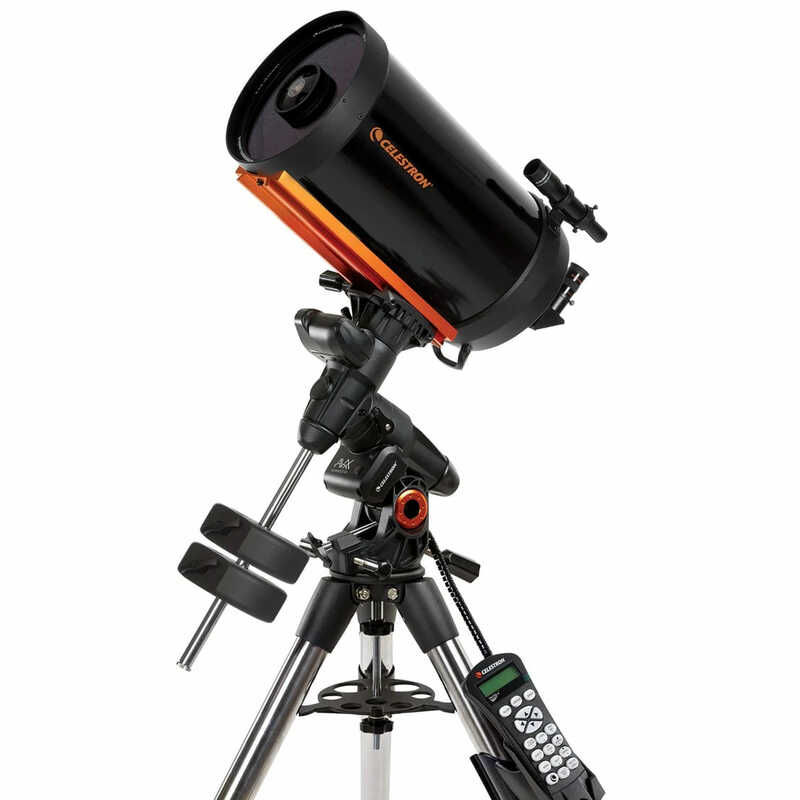 This f/10 Schmidt-Cassegrain telescope features Celestrons StarBright XLT coatings for better light transmission and a 6x30 optical finderscope for locating alignment stars. Celestrons Advanced VX mount was specifically designed to provide optimum imaging performance for smaller telescopes. Now your smaller telescope can take advantage of All-Star Polar Alignment and autoguider support. Youll be able to track through long exposures using permanently programmable periodic error correction. Image across the meridian without doing a meridian flip, so you can seamlessly image the best part of night sky. Advanced VX features significantly larger base castings than our previous design, improving stability under heavier loads. Improved motors offer more torque and can handle slight load imbalances with ease. The Advanced VX 9.25 SCT is an excellent choice for astroimagers and visual observers looking to gather 33% more light than our 8" telescope, but without the added weight of our 11" optical tube. No single piece of this kit weighs more than 20 lbs, making it easy for one person to transport and assemble. This f/10 Schmidt-Cassegrain telescope features Celestrons StarBright XLT coatings for better light transmission and a 6x30 optical finderscope for locating alignment stars. As you grow in your hobby, you can continue to enjoy all the high-level features of the Advanced VX computerised goto system that allows you to explore thousands of objects via the onboard database.